If you plan on grilling this weekend, don’t miss this deal on Charcoal. 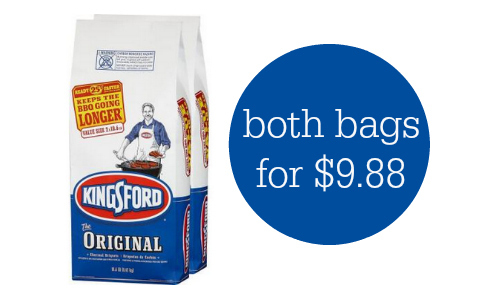 You can get (2) bags for $9.88, which is 50% off. This is the best price we sell on charcoal. There are 18.6 lbs in each making, so that makes it 26¢ per lb. There is a limit of 10 per order. The deals end 4/12.